Blockchain has the potential to change the financial industry as we know it. If the bitcoin crowd has their way the worlds monetary policy, and banks along with it will be turned on their head. While we might not see that kind of global revolution, blockchain has disruptive potential. Even the real estate industry could see some massive changes as the adoption of blockchain technology grows over the coming years. The blockchain revolution reminds people of the internet revolution. The internet was a new technology that had a lot of potential but nobody knew what to do with it. 30 years later and now the world would not be able to live without it. The blockchain revolution feels very similar. This is technology that is very powerful but it hasn’t found out exactly how it will reach mass adoption yet. So lets take a look at how blockchain could affect the world of real estate. Even though blockchain is still in its infancy, there are already plans underway to disrupt real estate. Lets take a look at some of the possibilities we may see in the future. In recent years many cities and counties have put tax records online. This has been a major convenience to residents and anyone seeking the public records in general. However, blockchain has something much bigger in mind. A blockchain is at its core a decentralized ledger with no central authority to trust. Another aspect is that its possible to prove ownership of an asset of something. When these properties are combined its easy to see how all ownership of properties could be stored on a blockchain. Before we get into all the ways this can help reduce friction in the real estate world, lets first talk about who the losers would be if this gets implemented. Title Insurance is a 15 billion dollar a year industry. This means the business of guaranteeing a valid deed is costing individuals that much per year. If properties could be verified via the blockchain using a private/public key solution that number goes to zero. Talk about disruption, implementing this solution would destroy an entire industry overnight. The good news is that other industries would spring up and property owners would have much more control over their assets. Imagine being able to add verified information about your property to the blockchain in real time with no fees. You get a new roof? You can have the roofing company sign all the details of the type of roof, the warranty and all other information into the blockchain for anyone to see. Any other sort of changes to the house could be logged onto the blockchain as well. Put simply, blockchain technology is great at cutting out middlemen. Banks and Lawyers in particular come to mind in terms of a real estate transaction. Smart contracts are contracts that are recorded on the blockchain and will not execute unless all terms a met, the most amazing part of this transaction is that no human intervention is needed in order for the contract to execute. So lets paint a picture of what the future could look like. You work with The Reeves Team to find your dream home. You come to an agreement with the seller on terms. The Reeves Team writes a smart contract that you and the seller both agree too. The contract states that within 10 days the buyer must sign off that they have inspected the home and approve, it would also state that the agreed upon amount of funds must be deposited into the smart contract by a specified date. Once those funds have been added and the buyer and seller have both signed the smart contract on the date of closing the smart contract would automatically move the deed from the seller to the buyer and move the funds from the smart contract to the seller. If all terms were not met the funds would simply be returned to the buyer. Imagine if you wanted to invest in a new casino being built in Las Vegas. Unless you are very wealthy and well connected your dream is not going to come to reality. With blockchain that all changes. If the builder wants to raise funds they can issue tokens that represent ownership stake in the property. Investors can then purchase those tokens at very small increments. Right now if you were to invest in a Las Vegas casino as its being built you would potentially have to wait years to liquidate. With the blockchain you could sell your shares to another willing buyer instantaneously on a secondary market. 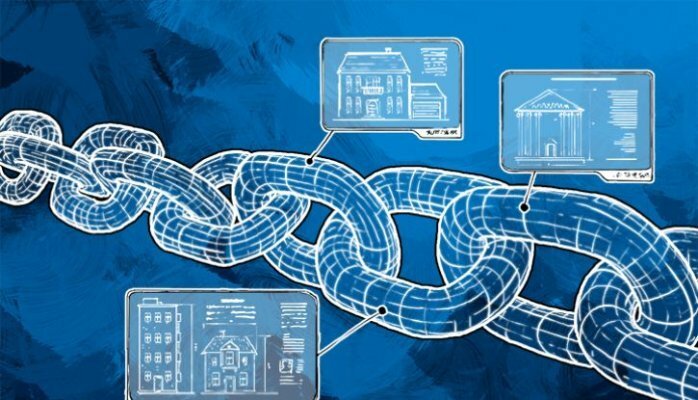 While blockchain is still very new hopefully this article helps you to see the potential that exists to drive efficiencies and create friction-less transactions in Real Estate and every other financial marketplace. We believe you will start to see a major shift in the real estate market to blockchain based solutions in the coming decade. Do you agree that blockchain is a game changer or is this all just hype? Let us know if the comment section below! 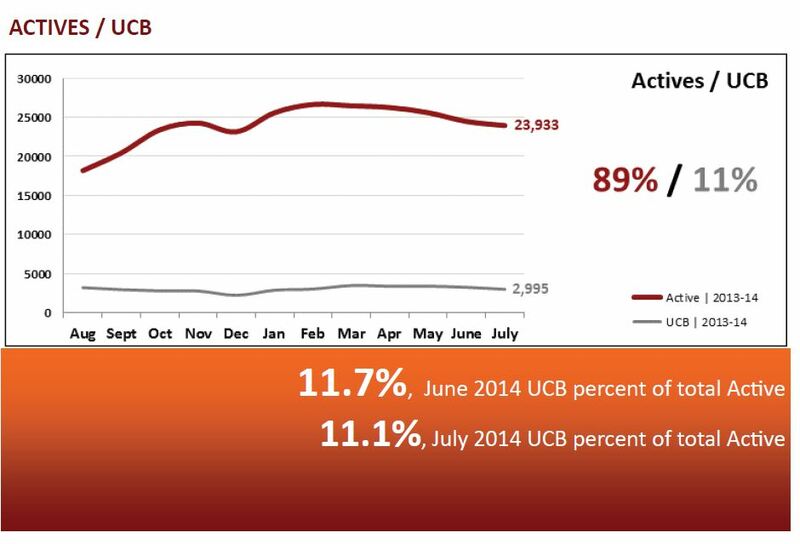 Is The Arizona Housing Market Slowing? All seems well with the Arizona economy and the housing market in particular. 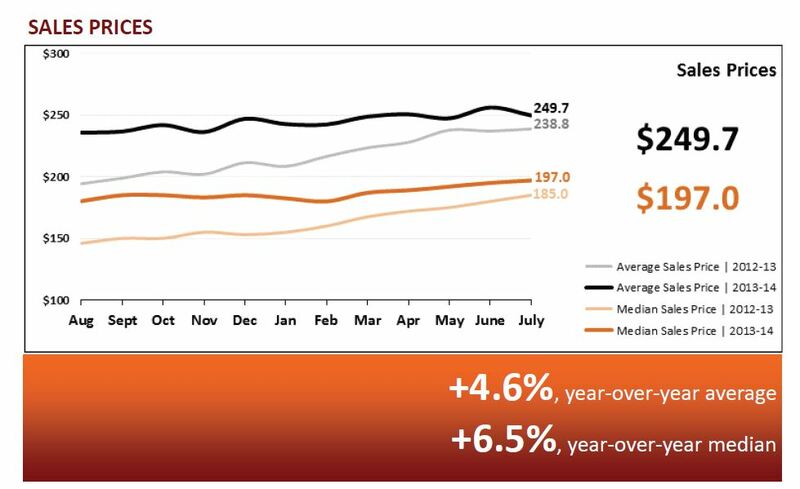 Home valuations have stayed fairly strong and mortgage rates have came back down from the highs we saw in the last quarter of 2018. So everything is great then, nothing to see here right? Well that might not be the case. 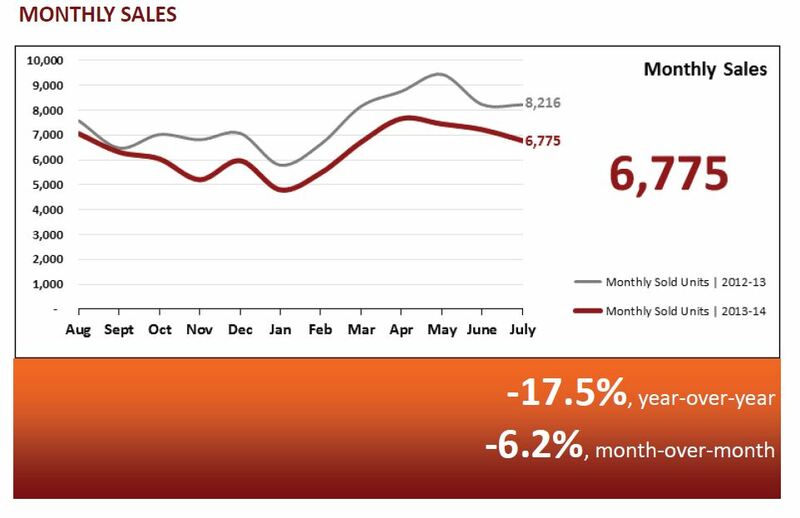 The Reeves Team has decades of experience in the Arizona housing market and we are starting to see some early signs that point to a potential downturn in the near future. We are going to dive deep into the indicators we are looking at that point to some troubling times ahead. While the prices are currently maintaining at current levels, other key levels are starting to slip. The days on market, inventory and absorption rate are all trending in the wrong direction. We will break down what each of these means and show the graphs to help explain what we are seeing. You can always count on Troy Reeves and The Reeves Team to keep you informed in an always changing market. Days on market takes a look at how long it takes a home to sell. This is a key indicator of the housing market because it shows how long the average house is sitting before it is sold. As you can see from the chart above the days on market is trending upward at a fairly sharp pace. We went from around 60 days on market during October to nearly 75 for the month of February. This is certainly something to be concerned about. This is however only one data point we use to judge the market on The Reeves Team. It is also worth noting that this only takes into account homes that actually sell. If a home is listed for a long time but doesn’t actually close it will not be considered in this metric. 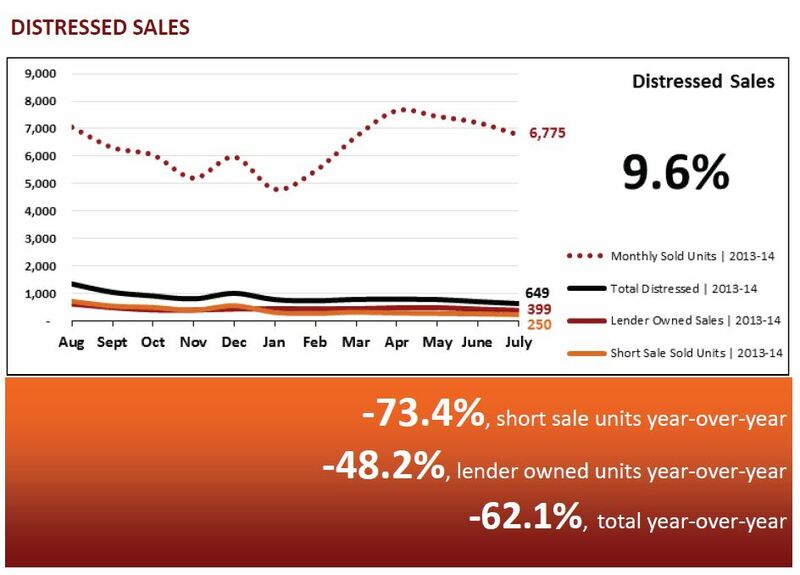 So to get a better understanding of the big picture we also need to look at inventory. 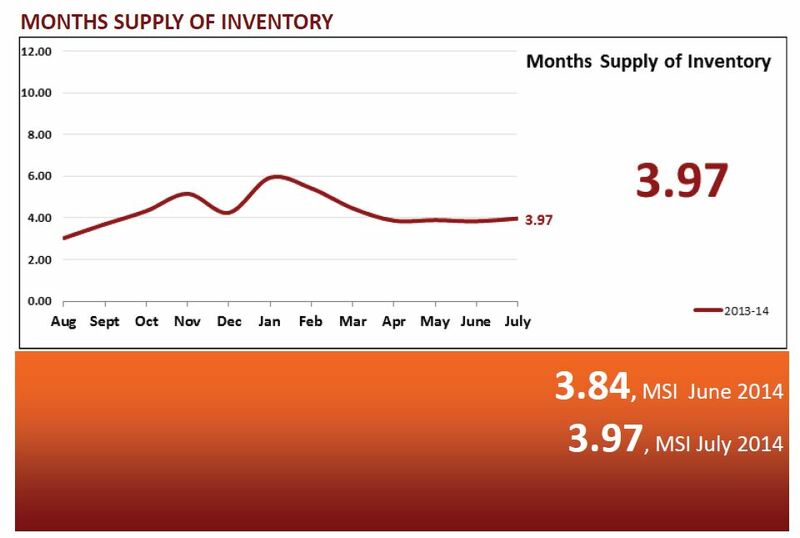 As you can see from the chart above the Inventory has spiked up significantly as well in the month of February. Inventory lets us know how many homes are currently on the market in Arizona. 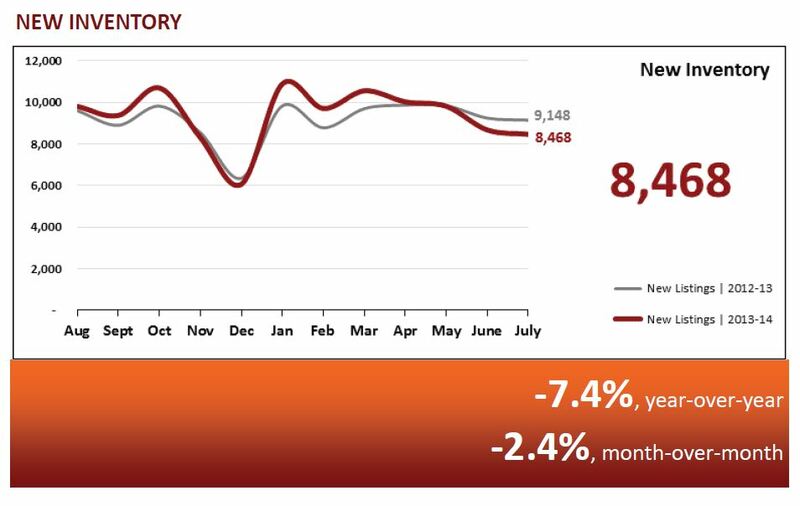 If more people buy a home in a current month than list a home the inventory will go down. If more people put their home on the market than sell their home the number will go up. 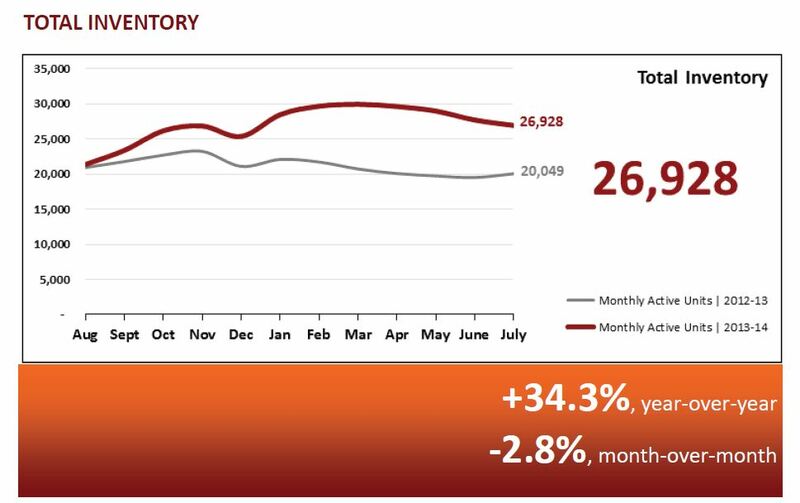 The inventory chart lets us know that more people have been putting their home on the market than there have been sales since April with a significant jump up in February. With more availability buyers will be able to be more choosy and prices could sink down. The absorption rate does a great job of showing us the larger picture. It shows how long it would take for the current inventory to be sold off if there were no more listings. We had a low of about 2.2 months. Since then we have jumped up to nearly 3 months in February. The most concerning portion of this graph is the largest jump was from January to February. When you see large jumps like this its highly possible the trend may be reversing and we could soon be entering a buyers market. Now lets take a look at prices. As we mentioned previously prices are holding up pretty well at this point. If this were the only metric you looked at you would think things may continue on like this for the foreseeable future. Unfortunately it does not tell the whole story. Prices much like days on market only show the homes that were sold. 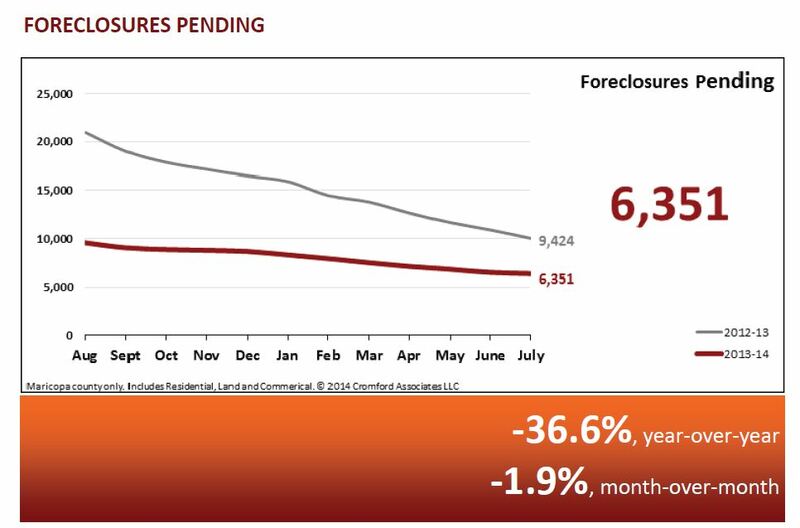 What this chart shows us at The Reeves Team is that sellers have not caught on to the changing market yet. Sellers have not started cutting prices yet, and because of that less homes are being sold which is causing the spike in the Inventory. 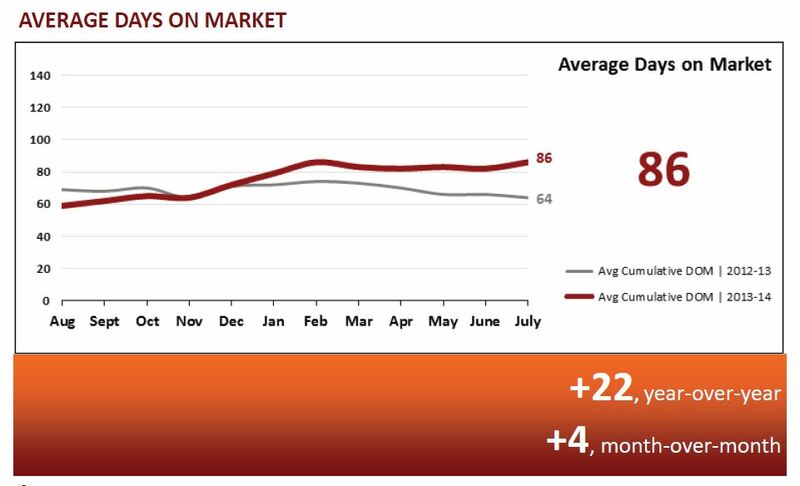 In the coming months if there is nothing that changes you can expect the prices to start dipping as the inventory and days on market continue to climb. What do you think of our analysis of the current market? Do you agree we could see a dip in prices or do you think we will continue to maintain our current levels? Let us know in the comment section below. Its never to soon to begin thinking about extending your swimming season in Arizona. Gilbert Arizona is an amazing place to live and during the winter months it is one of the best places on the earth. However when summer rolls around it can be challenging. The extreme heat drives away the snowbirds and traps residents indoors. One of the best ways to cope with the Arizona heat is to own a swimming pool. If you have a swimming pool in your back yard you can find reasons to go outside during the summer months and also provide some entertainment when there isn’t much else going on. One problem with owning a pool is how short the actual swimming season can be. It takes a long time to for the pool to heat up naturally, especially if you have a deeper diving pool. For larger pools it can be late May or even June before the pool if comfortable for many to swim in. Another problem many encounter is that once the pool is swimable it isn’t long before it heats up to an uncomfortable temperature. These issues leave the ideal swimming season in Arizona to only a few weeks of the year. Here at The Reeves Team we are here to help you get the most out of your pool. With only a few small tweaks you can get in your pool earlier, keep your pool temperature reasonable during the peak of the heat, and stay in your pool longer so you can enjoy your investment as long as possible. Solar pool covers can be purchased for less than 100$ and they can make a huge difference. These Solar covers or “blankets” are designed to heat up during the day and also retain the heat at night. These solar covers can be trimmed to fit any size pool and will add weeks or even months to the usable time of your pool season. A side benefit to these covers is that it will also help keep your water from evaporating as quickly, so who knows you might even be saving money by purchasing one of these. Another problem many of our clients talk about is that the pool becomes so hot during the peak season that it is not enjoyable. There are a couple of quick tricks that will help you keep that pool reasonable during the hottest months. The biggest tip is to run your pool filter at night. If you run the filter at night when the air is cooler it will help the water to evaporate and make the pool more enjoyable when you enter it the next morning. Another practical tip is if you are planning on having a party and want the pool to be refreshing dump some ice in it. It may sound strange, but once you get past the silliness of it, it makes sense doesn’t it? Just be aware, its going to take a decent about of ice to make a dent in the temperature if you have a large pool. The last tip to help cool down the pool is to install a water fountain in you pool. Moving the water will keep it cooler and more refreshing. In addition to installing a fountain a pool slide or waterfall will also accomplish the same thing. Adding these features will also make your pool more fun and add to your property value. 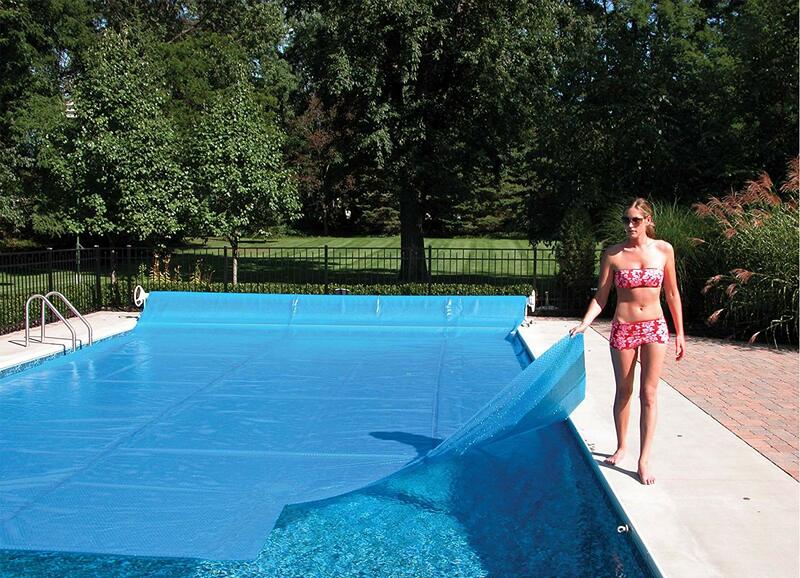 Do you have any other tips for extending your pool season? Let us know in the comments below! The real estate market has been rapidly evolving over the last decade. The next decade will be more of the same. At The Reeves Team we are here to help you understand what some of the changes may bring to Gilbert Real Estate. Technology has changed our lives dramatically and given us access to information the previous generation would have never though imaginable. Yet technology shows no signs of letting up and these changes will continue and will alter the way we buy and sell homes as well as how we interact with our home. So lets dive right in and show you some of the ways Gilbert Real Estate will be changing. Stay with us on this one. Many times when people think of Virtual Reality they think of strapping a VR headset onto their head and walking around banging into things. While a growing number or people are purchasing expensive virtual reality headsets it is still a very small segment of the population. 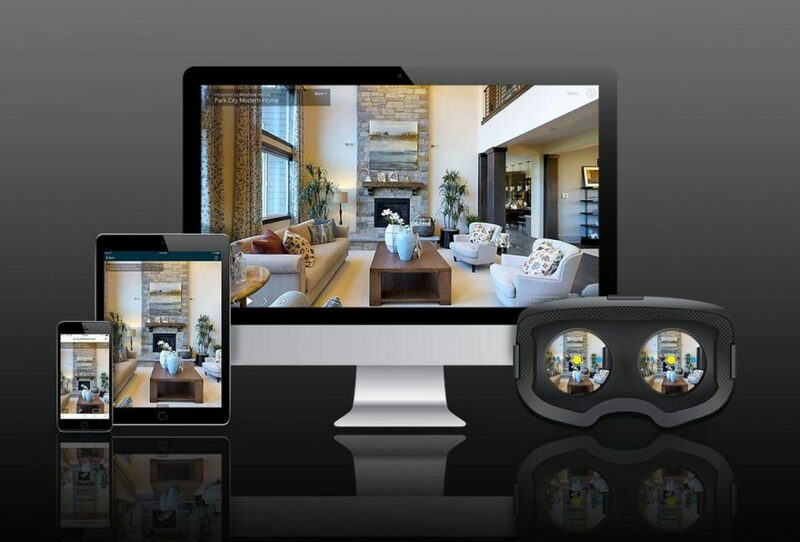 Instead we are talking about virtual reality home tours you can view on any type of device you would like. There are already companies doing a good job of this. This technology used to be very expensive and bulky to get into a home, but as with everything in technology its getting cheaper, faster and smaller by the year. These virtual reality tours will become more and more common in the coming years. Augmented Reality is similar to Virtual Reality except you use AR to interact with a real environment. Have you ever been in a home you were considering purchasing and not knowing how to arrange the furniture? Or if the furniture will fit at all? Imagine using your phone to be able to position couches and other pieces in the room in real time to see if they would fit and how they work together. Together VR and AR will be game changing technology for home purchasers and its coming sooner than you might expect. No one enjoys commuting. Spending an hour or more in stop and go traffic dealing with thousands of other people that don’t want to be there either is not how anyone wants to start their morning or spend their evening. That all will change when fully self driving cars carve out a large chunk of the traffic on the Arizona highways. Imagine being able to read a book or even start your workday on the way to your job. Commute time will also be reduced as congestion will be minimized when self driving cars are more prevalent. Self driving cars will be able to communicate with each other to maintain higher speeds and react in real time, this will allow for much less stop and go traffic and reduce the amount of time passengers will need to spend on the road. A quicker commute and the ability to do other activities while on the road will make homeowners more comfortable with moving into the suburbs. This will help areas like Gilbert increase in value. We will also continue to see the Phoenix Metro area expand its footprint as it will be easier to expand horizontally than it will be vertically. Real Estate has been changing at a rapid pace and will continue to change in the future. It has never been more important to work with a Real Estate Agent that is forward thinking and keeps up with the technological trends. The Reeves Team was one of the first teams in Arizona to use an interactive website to provide insights into the Real Estate Market. When websites like Zillow were growing in popularity many agents feared the trend. At The Reeves Team we went the opposite direction and put MLS listings on our website for anyone to access. We didn’t just show our listings but any listings around the value. We were also one of the first teams to incorporate video tours into our listings to help provide a better understanding of our listings before potential buyers came to view the home in person. Change is not always easy but at The Reeves Team we are committed to giving our clients as much power as possible. What do you think of these upcoming Real Estate trends? When do you think VR tours will be prevalent? Let us know in the comments below. If you try to tell people who don’t live in the area how cold it is you are not likely to find sympathy. Sure, it is unseasonably cold in Gilbert right now, but its colder in most of the rest of the U.S. Those unsympathetic individuals will never understand the struggle of the cold weather in the desert. While the rest of the world is prepared for cold weather this time of year, the temperatures can catch Gilbert residents off guard. With this in mind we have 5 tips to help you deal with the cold weather we are experiencing. These tips will be things you should know to help prevent problems that arise from the cold. It is a fairly rare occurrence when we get a frost in Gilbert. Because it is rare it often catches us off guard when it does happen. If your plants are damaged by frost it can harm or sometimes kill them entirely. If you have plants that are sensitive to frost you can purchase frost cloth to cover the plants during the days we do receive a frost. You can also use blankets or sheets if the temperatures are going to get below the 30’s. If you do use sheets or blankets make sure to remove them in the morning before the temperatures get to 50 degrees otherwise the excess heat can harm the plants. Everyone thinks to have their HVAC system checked before the summer heat, but many residents forget to check their heating system before the cold weather approaches. As always it is important to change your air filter regularly. It is also a good idea to have a certified HVAC technician inspect the unit to see if any repairs are needed. It is always better to know that something needs to be repaired before the temperatures drop. The strong Arizona heat can do a number on the weather stripping that surrounds our doors and windows. It is a good idea to go over all of your doors and windows and make sure that the weather stripping is there and that it is in working order. If you notice that the weather stripping is not in tip top shape it is a good idea to replace it as soon as you can. 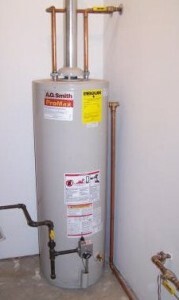 This will help keep your home warm and save you money on your electricity bill. While Gilbert doesn’t often get hard freezes it can happen. 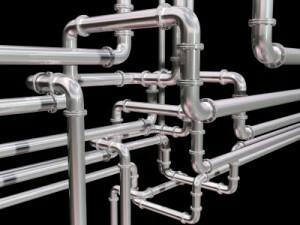 When this happens its possible to have damage to pipes. The most common pipes that can freeze are associated with your pool. 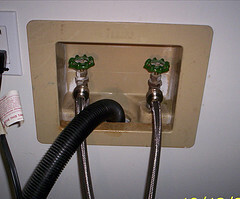 The Anti-Siphon valve or the Vac-Breaker is the most common part to freeze when we have a cold spell come through Gilbert. The best thing you can do is to put a rag around the valve. Taking this simple step can save a lot of headaches and pool repair fees that could be easily avoided. If you are lucky enough to have a Gilbert home with a fireplace now is the perfect time to use it. It is important to have the fireplace checked by a licensed professional before using it. If there is an issue it is better to find out before using it instead of having the smoke that should be going out the chimney bellowing into your living room. Once inspected you will be able to enjoy the heat and cozy atmosphere that a fireplace provides. 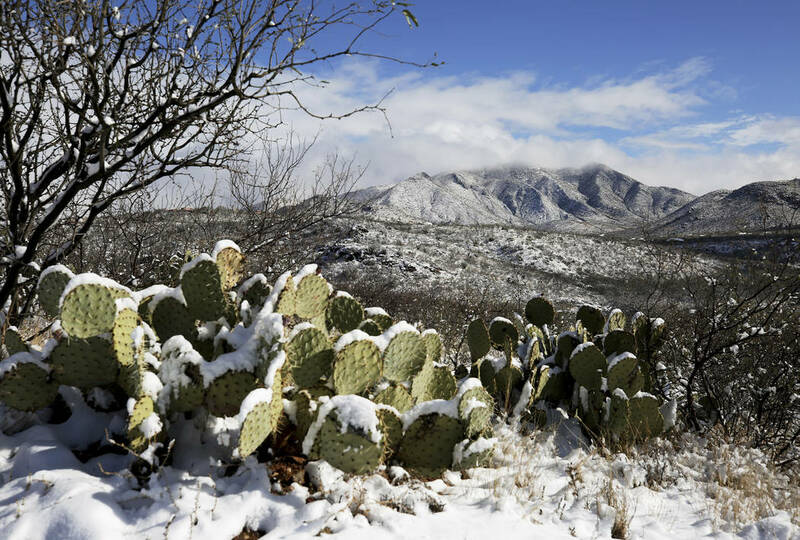 Do you have any other tips for staying warm during the cold Arizona weather? Let us know in the comment section below. Is The Gilbert Housing Market Shifting? The last two years have been either a blessing or a curse in the housing market. If you are a homeowner, the sustained price growth has been a blessing as valuations have risen over 20% from the same time in 2016. Families that have listed their home for sale have been able to expect multiple offers on their homes from buyers eager to enter the market. Many times these homes have sold at or above the listing price. On the other hand, many first time home buyers have seen the market over the last 2 years as a curse. With home values rising rapidly with no end in site, there has been heavy competition. Many buyers have not been able to buy in their desired areas and many have left the market dejected after being beat out on multiple houses by competing buyers. As the prices have risen steadily many potential buyers have felt like they missed their opportunity and home ownership will be forever out of their reach. Recently however, their are a number of factors that just may finally shift the odds back in the buyers favor. Here at The Reeves Team we are going to break down the reasons we may be in for a shift from a sellers market to a buyers market. Are we in a perpetual sellers market? The short answer to this question is No. A common phrase you will hear in wall street is “Trees don’t grow to the sky”. The meaning behind this is simple, If you watched a tree grow from its youth you would see it grow at a steady rate. If you see a tree grow 2 feet a year for 10 years it would be rational to assume the tree will continue growing forever and after awhile it would reach all the way to the sky. As we already know this isn’t the case, but many people seem to use that reasoning when looking at the housing market. 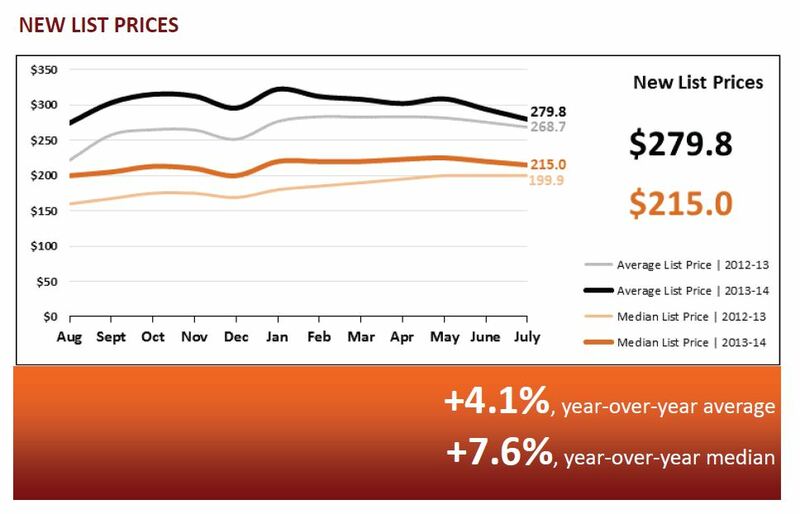 Since 2012 we have seen sustained growth in the Gilbert housing market. That is 7 straight years of nearly 10% gains each year. When you see homes appreciate this consistently for that amount of time its easy to think it will continue going up forever. Unfortunately, we have a fairly recent example of how volatile the housing market can be when we all endured the 2008 financial crisis. It is unlikely we will see any steep corrections like the one we witnessed a decade ago, there is a strong possibility prices could begin to decline slowly giving buyers much more leverage when negotiating for a new house. What are some of the reasons we could see a slowdown in the housing market? There are a number of reasons we could see a slowdown, and not all of them have to come to fruition to make the slowdown a reality. The biggest factor to consider is rising interest rates. The rates a homeowner has to pay when getting a loan on a home can dramatically affect the mortgage payment each month. Rates were brought down to almost zero after the financial crisis in 2008 and stayed there for quite some time. Borrowers were able to purchase homes where a large portion of the payment was going to principal and less to interest, this allows them to pay more for homes and stay within budget. 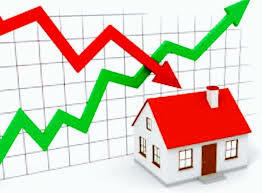 Because interest rates were low and stayed low for a long time prices have marched steadily higher. Now that the federal reserve has began to raise interest rates and home prices are at or near all time highs it is squeezing potential buyers out of the market. When there are less buyers that means sellers will need to compete harder to land one willing to pay the going rate for their home. We are starting to see home homes listed for sale, but currently its only a slight uptick. If more homeowners begin to worry about falling prices and begin to list their homes we could see even further price reductions. This is a very interesting time not only in housing but also in the overall economy. 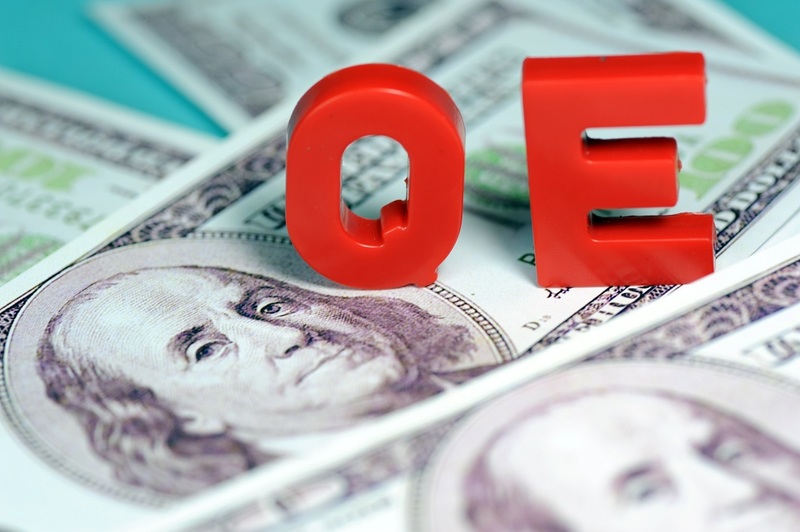 Not only have we had extremely low interest rates over the last decade, we have also had quantitative easing in which the federal reserve pumped billions of dollars into the economy annually. The federal reserve has not only raised interest rates it has also stopped its policy of quantitative easing. 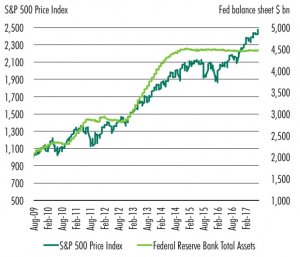 The Fed still has trillions of dollars on its balance sheet that it now needs to sell which could further put pressure on the overall economy. We also have record low unemployment levels and a growing economy which helps offset some of the negativity in the markets. We could see a temporary dip and then a march higher or we could possibly see a longer more protracted sell off leading to lower prices over the next couple of years. One thing is pretty clear, we wont see anything nearly as bad as we saw in 2008 when the sub prime mortgage rates took down the whole economy. So what do you think? Will we see a buyers market over the next several quarters or will we continue to march higher as we have done over the last 7 or 8 years? Leave your thoughts in the comments section below. Can You Purchase A Home With Bitcoin And Other Cryptocurrency? Bitcoin has only been around for ten years, but in that short time it has accomplished quite a lot. Bitcoin has proven useful as a decentralized currency and created an alternative to every currency before it that is backed by and controlled by centralized governments. Bitcoin and alternative cryptocurrencies have been in the news often over the last two years. First, for the spectacular run up in value in 2017 that made early investors returns that you couldn’t find in traditional markets. Bitcoin unfortunately stayed in the news in 2018 as it lost over 80% of its value from the peak in December 2017. While bitcoin has proven itself as a secure alternative to fiat currency, it has not proven itself to be a stable asset or store of value. As the price has fluctuated The Reeves Team has had several questions from Bitcoin investors. Questions include if they can use their bitcoin to purchase a home or qualify for a mortgage. While some of the regulatory issues around Bitcoin are still unclear we will break down what we do know and how you can best use cryptocurrency when purchasing a home. We will also discuss the current process of selling your cryptocurrency to pay for your down payment, and if its possible to use your Bitcoin to qualify for a mortgage. Before we jump into those topics we first want to provide a warning. As we have seen over the past two years Bitcoin is an extremely volatile asset. While using your cryptocurrency to make a home purchase could be a great decision there are also many ways in which it could go wrong. The first consideration to make is what happens if the price plummets. Are you planning on paying for the entire down-payment, or even the entire home in Bitcoin? If you are, it would be prudent to start moving funds from cryptocurrency into dollars. If you wait until the last minute to convert from Bitcoin to USD the price could plummet leaving you without the funds to close and possibly in breach of contract. The second consideration is if the price goes up. Are you mentally prepared to pull your funds out to purchase a house and have the price double the next day? Bitcoin can swing wildly in both directions so please make sure you are prepared for all scenarios. So lets tackle the big question the team often gets. Can I use my Bitcoin to qualify for a mortgage? We have even had situations where a client could not qualify if the amount of Bitcoin they owned was not included. When applying for a mortgage a bank will want to see verification of how you hold the funds that you have in your account. In the not to distant past if your funds were the result of selling Bitcoin or if the funds were still in Bitcoin, the bank was almost certainly not going to work with you. Much of the reason for not allowing funds associated with bitcoin was because Fannie Mae one of the largest players in the mortgage industry had not given Bitcoin the green light. Recently Fannie Mae has clarified its position and given us clarity on when Bitcoin can be used to help qualify for a mortgage. As of this writing it is possible to secure a mortgage using your cryptocurrency holdings. In order to qualify it is important to have exact documentation of the original purchase as well as documentation of any of the cryptocurrency that has been sold. This is great news for anyone who wants to turn some of their risky cryptocurrency assets into a much more stable investment in a home. If you do plan on selling your Bitcoin or other cryptocurrency to pay for the down payment there are a few other considerations. Again, documentation will be key as any holes in documentation could result in your mortgage application being rejected. In addition it is important to make sure you only transact in U.S. Dollars. If the currencies are converted into any other currency it can cause additional headaches and could also result in your application not going through. If you sell your cryptocurrency for a down-payment you will also need to be aware of the tax implications. Any profits you have made on your Bitcoin investment will need to be reported to the IRS. While there are still some gray areas with reporting cryptocurrency profits it is very clear in this situation that taxes will be owed on the profits you take from your sale. If you have any additional questions about purchasing a home using cryptocurrency, or just buying/selling a home in general, please contact The Reeves Team. 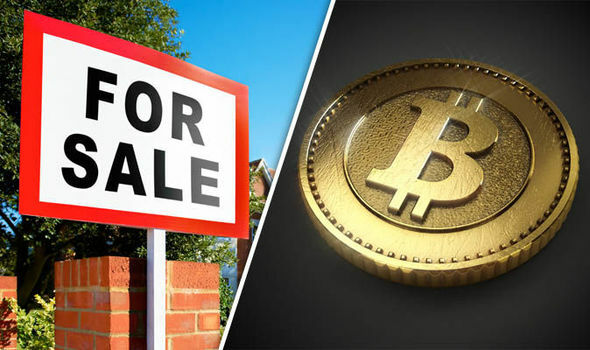 Let us know what you think about Bitcoin and if you think selling cryptocurrency to purchase a home is a good idea in the comment section below.